Thames Discovery Programme - The Thames Hub? 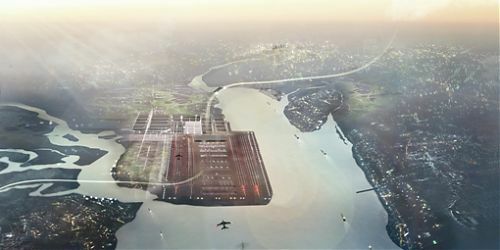 A radical new £50bn solution to transport logistics in South East England is being proposed by Foster + Partners, Halcrow and Volterra. 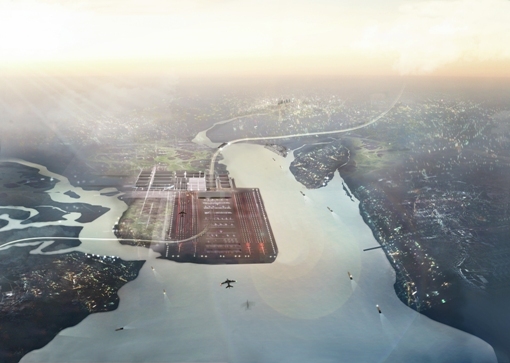 The proposal involves the construction of a new airport in the Thames estuary, a tidal barrier incorporating electricity generating capability and integrated rail services. You can read more about the project vision here, and an article in the Guardian about the proposal here.